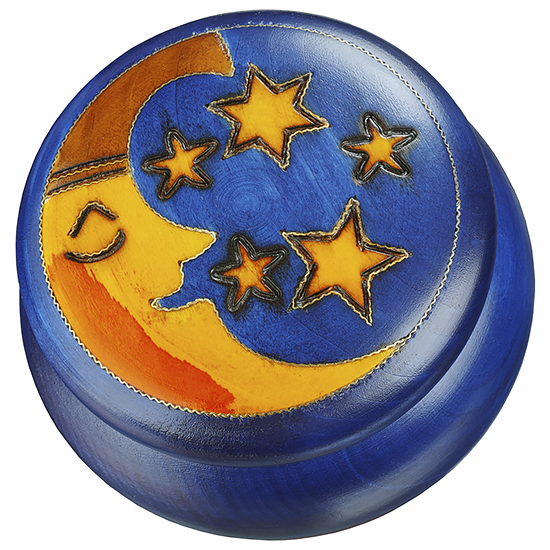 It's time for bed, and time for the little moon to go sleep! This rounded box has a hingeless, removable, compression fitted lid. 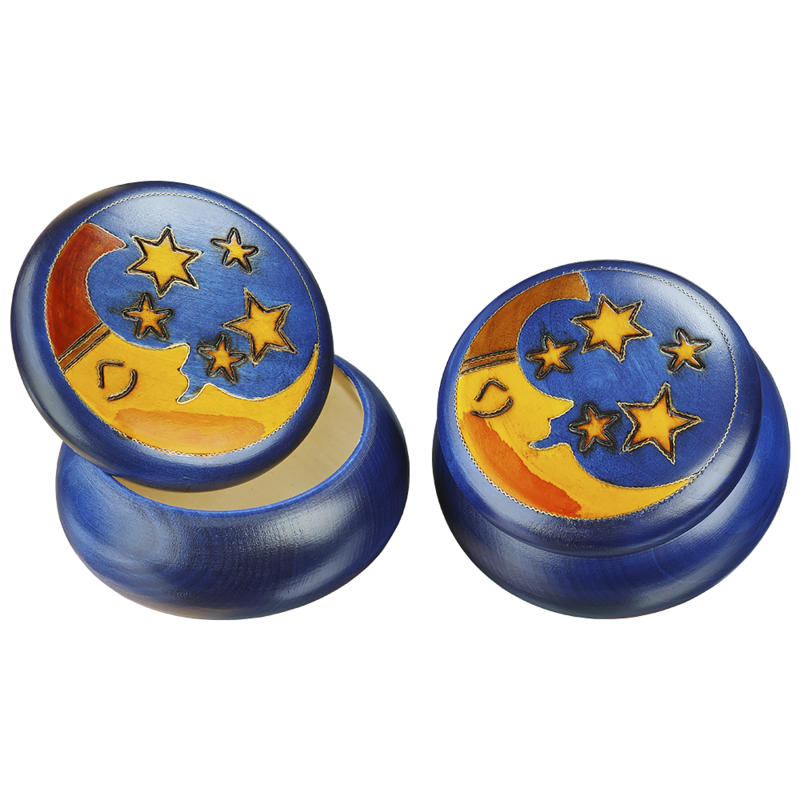 The color is a deep rich blue, with abundant amounts of carefully laid brass inlay. The moon has warm, pinky-orange cheeks, and a hat that comes in assorted colors (dark cherry & raw umber).